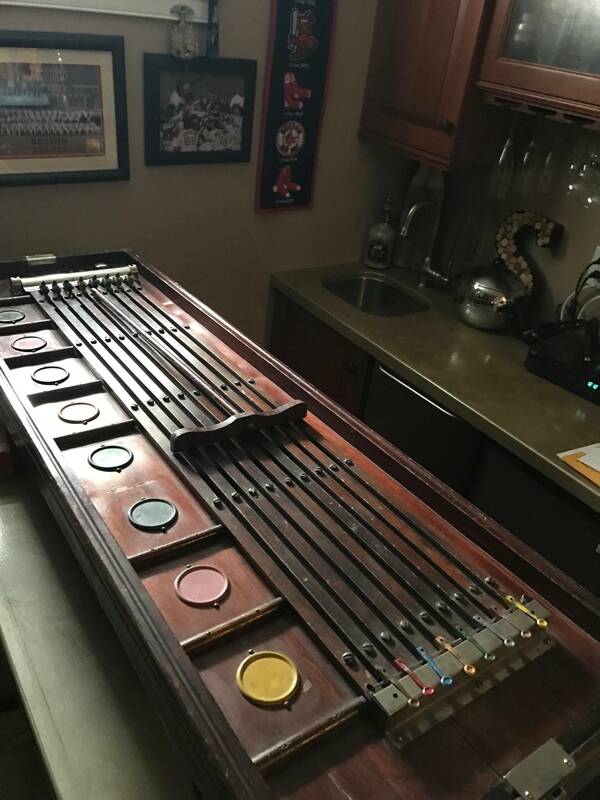 I'm looking to get my first trade stimulator and wondering if anyone on here collects them or has one they are interested in selling possibly or has any information on them. 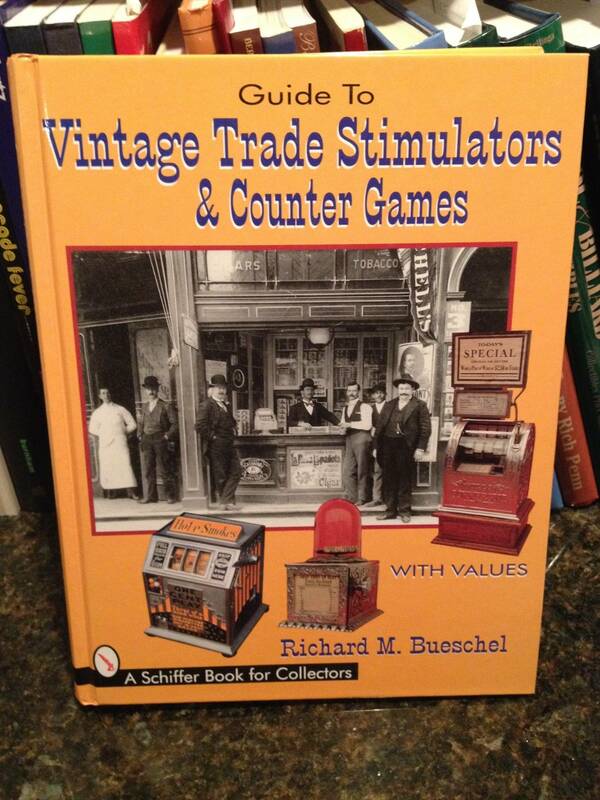 I collect both trade stimulators and antique slot machines. Have you looked at the various trade stimulators available to see what you like? Prices can range from 2 or 3 hundred up to 1500 or so. Yes I've been looking for a while, just don't really want to buy from eBay, just like pins they seem crazy pricewise. 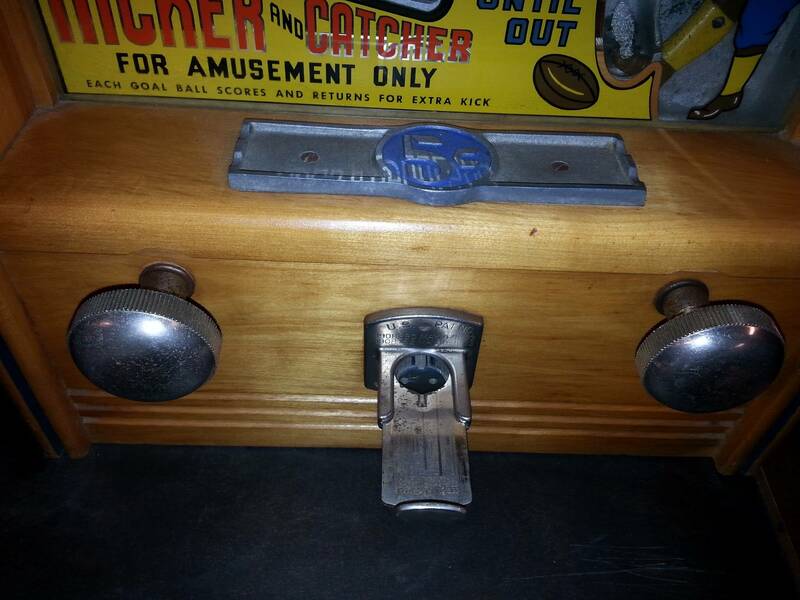 I want to get one that dispenses gum balls. I have had a few go through my hands. I enjoy playing them for a while but the prices I get offered by actual collectors always keep them getting sold out of my collection. I have never had one that was so much fun that I could not part with it. Generally I really enjoy seeing what some of the companies were able to make happen with a purely mechanical machine. 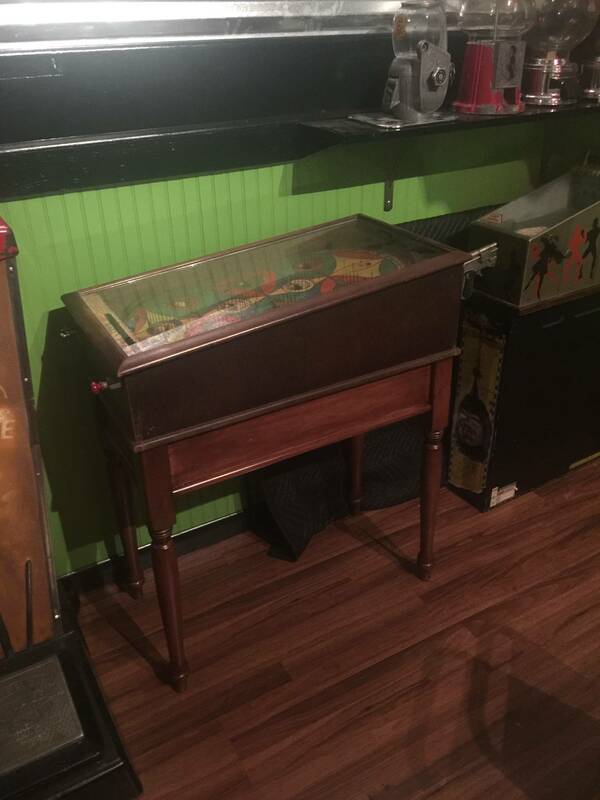 By far my favorite was a Gottlieb "Play-Boy", a purely mechanical pinball machine that was a true pinball machine, it was set-up as a countertop game. 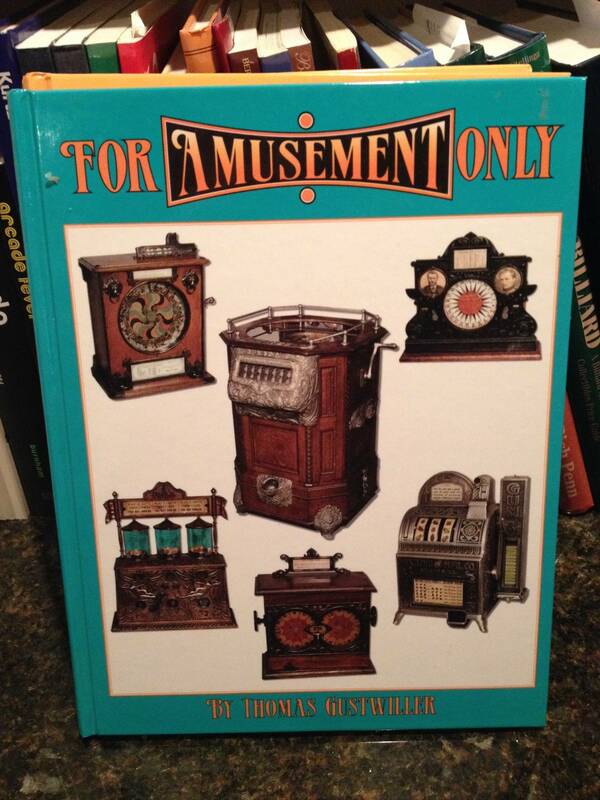 I always thought of it as a trade simulator, but perhaps others would say it was not. Overall I wish I could get into the hobby, but I have never figured out this collector community. I have the same problem as the OP, I only see what shows up on Ebay and other places where the prices seem crazy. I have never found an online forum that gave me the feeling I was getting offered items at reasonable prices or items that had not been "worked over" by flippers. 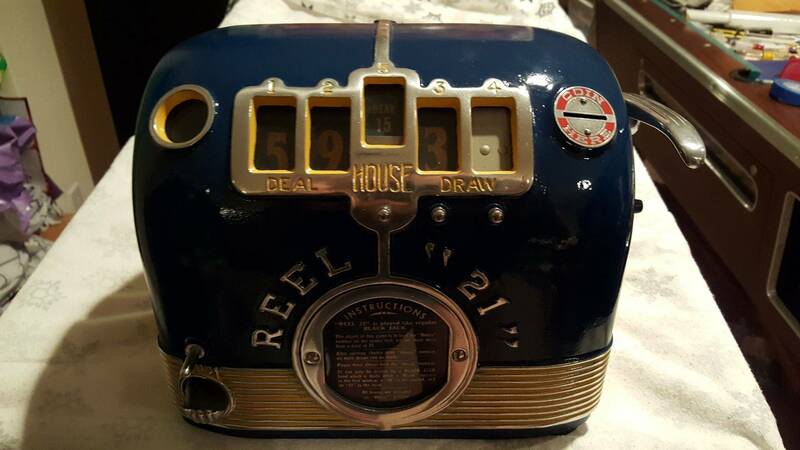 I have a recently restored and 100% working 1936 Daval "REEL 21" blacjack trade stimulator. 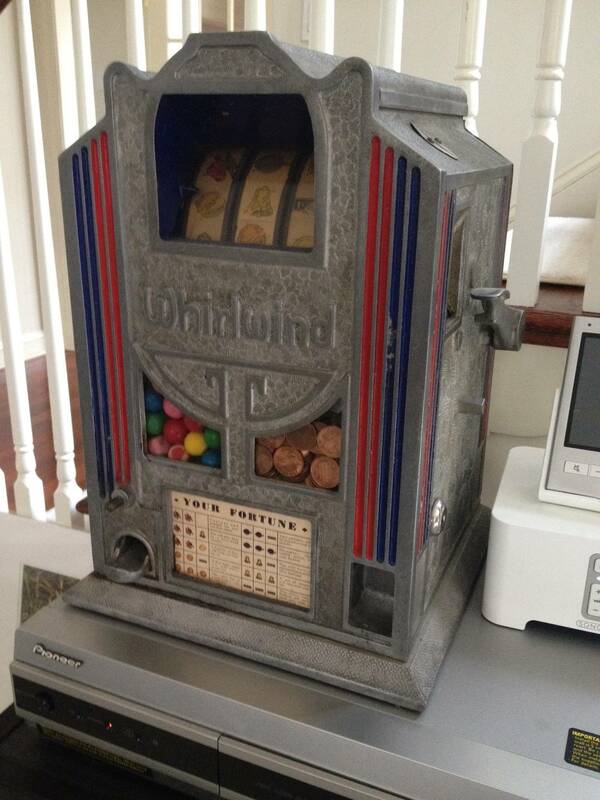 I might be willing to sell it ... this is very sought after and highly collectible and yes, it gives out gumballs! 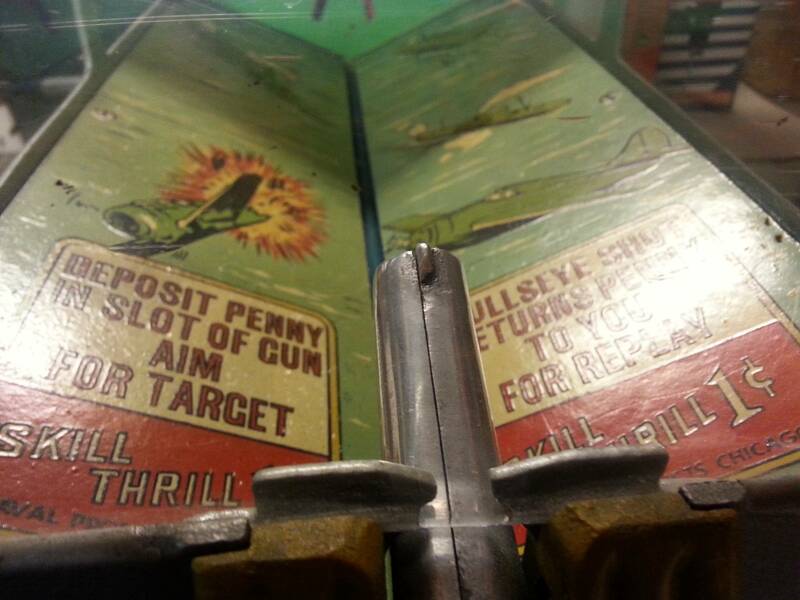 Thanks, I appreciate that ... yes, usually the gumball mechanism is always missing. I have a pierce whirlwind and a few others. Best place to buy at a fair price is auction. 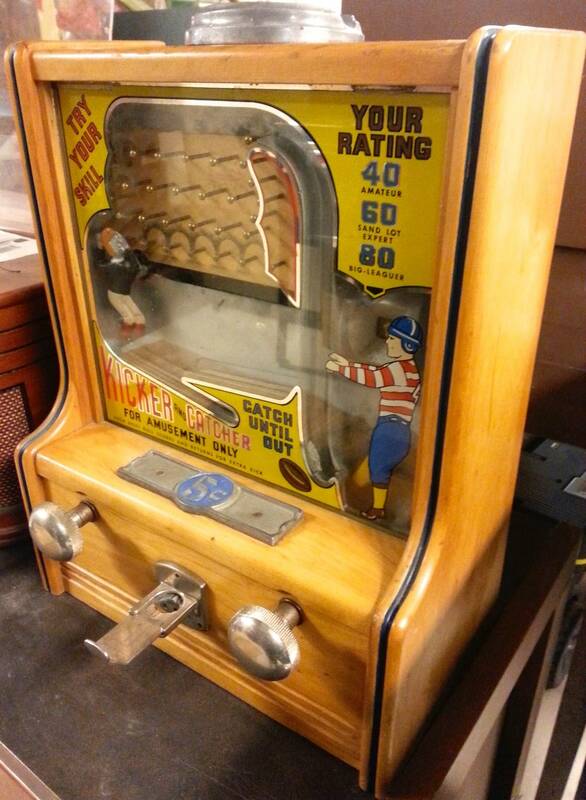 Trade stims and antique slots usually get sold at antique advertising / country store type auctions. Victorian Casino Antiques has a couple of auctions a year with quite a few. Morphy auctions bought them a while back. 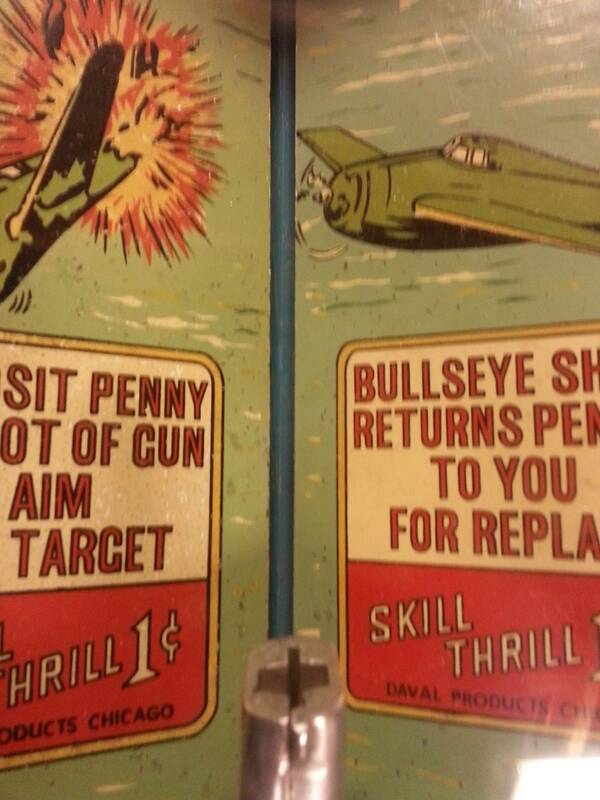 Just like pinballs condition and rarity = price. It totally depends on condition and rarity. Cast iron machines from the turn of the century can sell for upwards of 10 grand. Most of the more common machines sell for 500-$1500 depending if the machine/reel strips are original, gum vendor is intact etc. 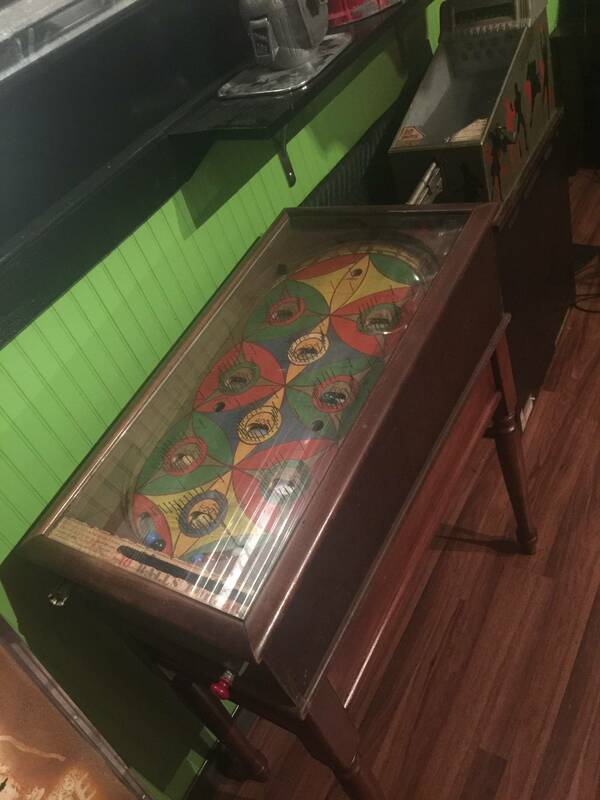 they are very cool but like pinball machines most people who find one go to eBay ,see crazy prices and instantly think they've got gold. Both these books are good for reference. Not sure if the are out of print. Funny, I just found out about Trade Stimulators last week when trying to find out what this little guy is. 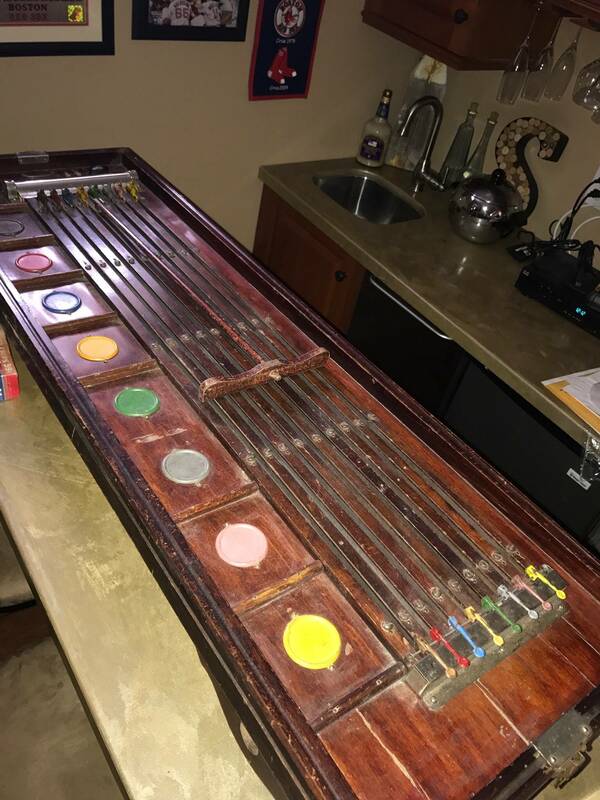 1932 keenly and sons rainbo. 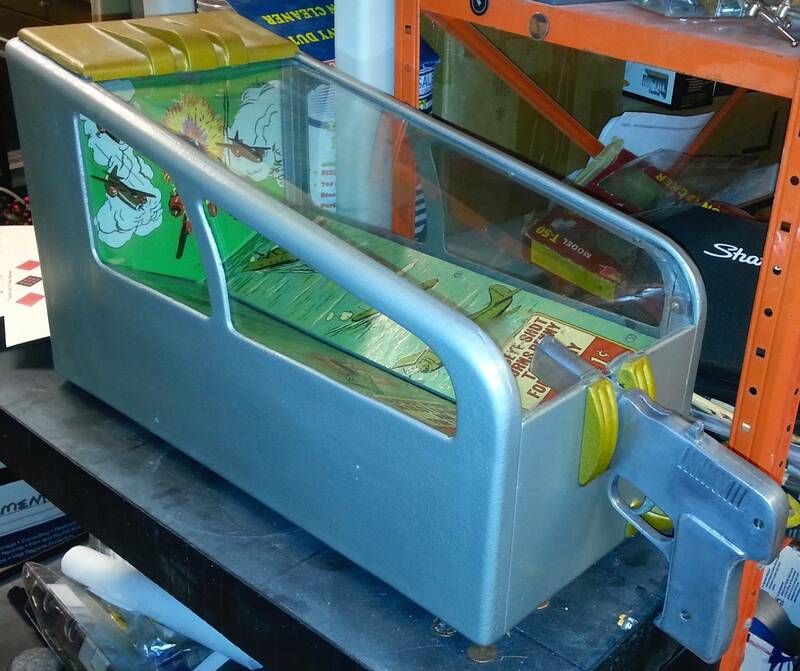 Most of the more common machines sell for 500-$1500 depending if the machine/reel strips are original, gum vendor is intact etc. Does having the original gumballs affect the value? 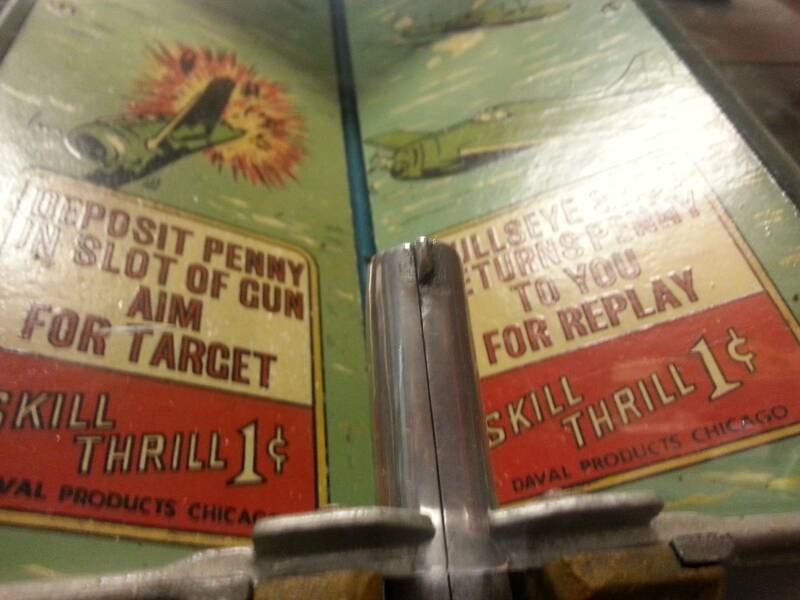 1940s Daval Skill Thrill penny shoot trade stimulator. 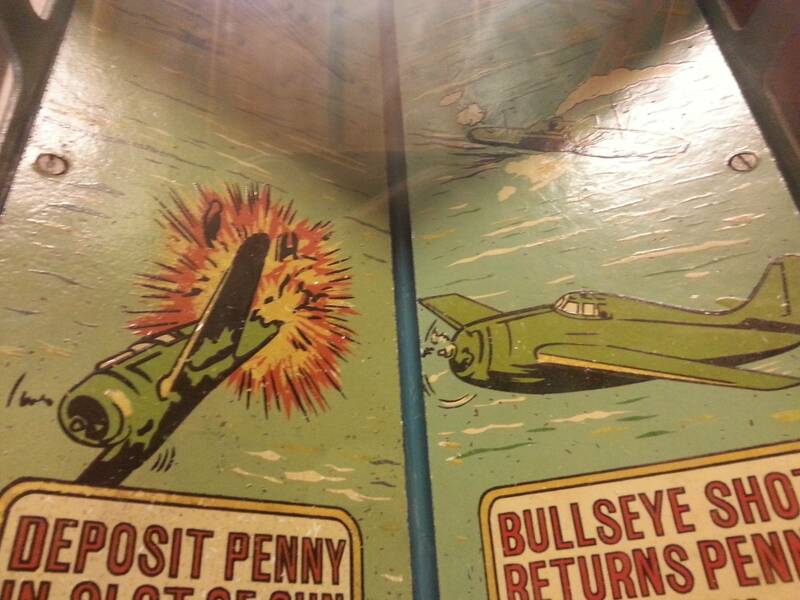 Load the penny into the top of the pistol. Aim for the slot on the backboard. 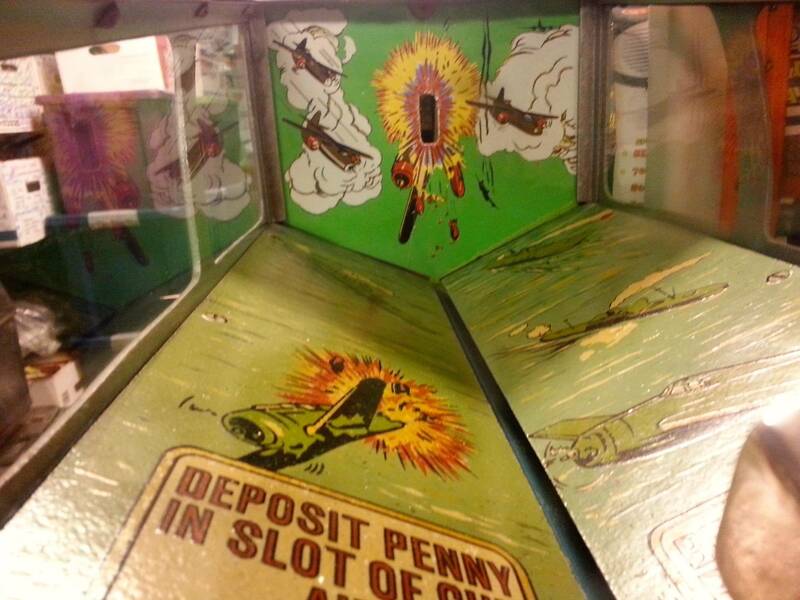 If the penny lands in the slot, a bell rings and the penny is returned to the player via the chute adjacent to the pistol. I love the art deco design to the cabinet and the art package is first-rate. 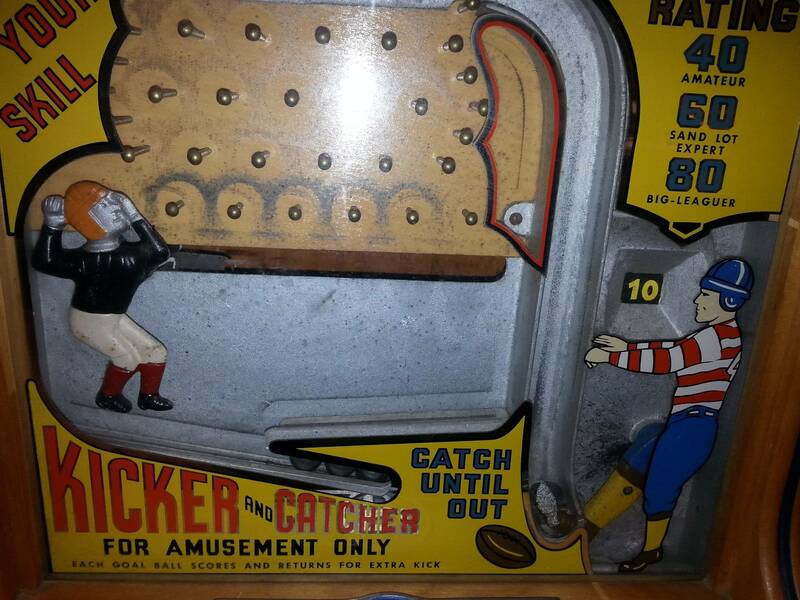 1940s Baker Novelty Company Kicker Catcher. J.F. Frantz Mfg. 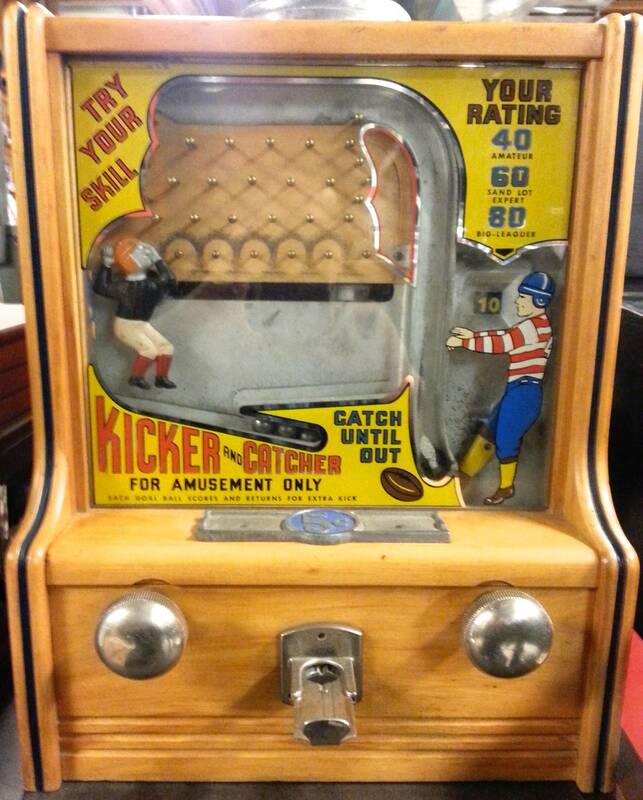 Co. and Baker began making this style game in the mid-1930s, utilizing baseball, soccer and other themes, in addition to the favorite American football theme, as shown in this example. 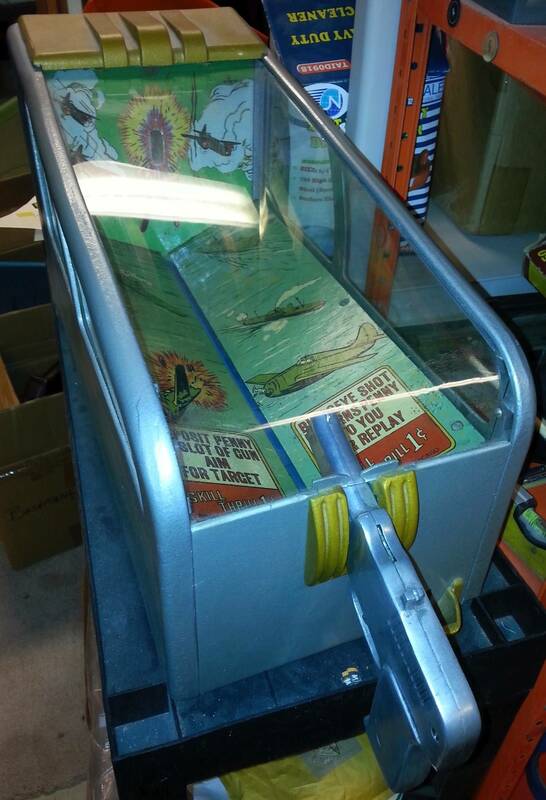 If you've ever played one of these, then you know how addictive they can be. I just missed out on one like Zukboy has in the background I'll own one someday. 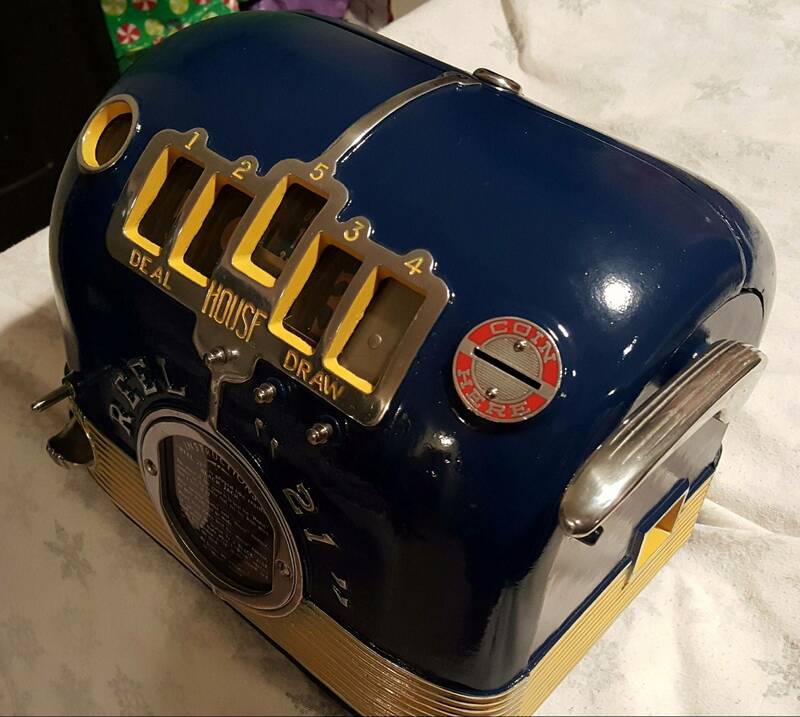 Anyone ever owned or even seen one of these? 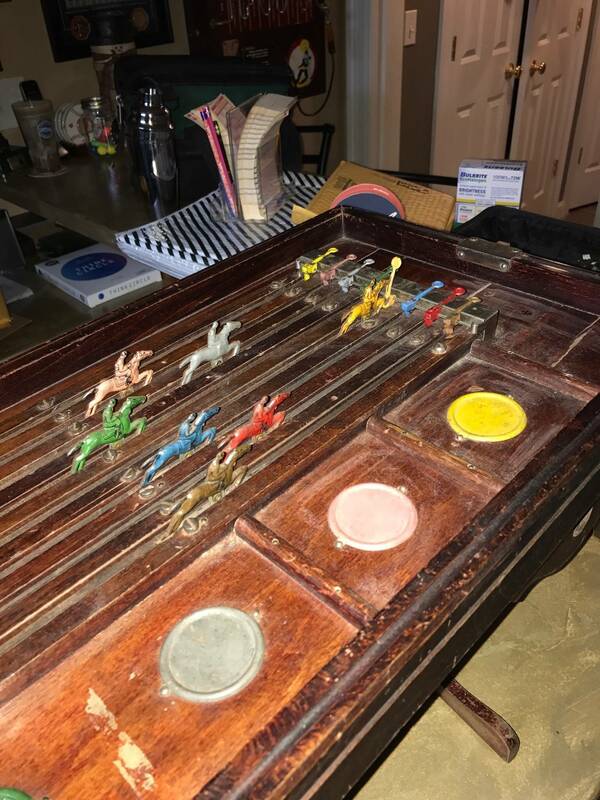 I just picked it up and it is pretty dirty but works great, it's an electric horse race gambling game. 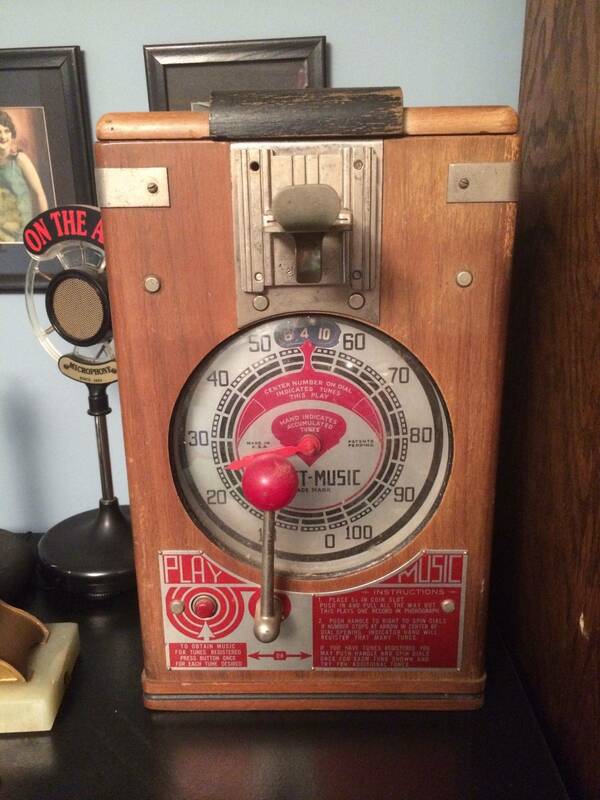 I can find almost no information on it other than it is from the late twenties and made by wolverine mfg co. 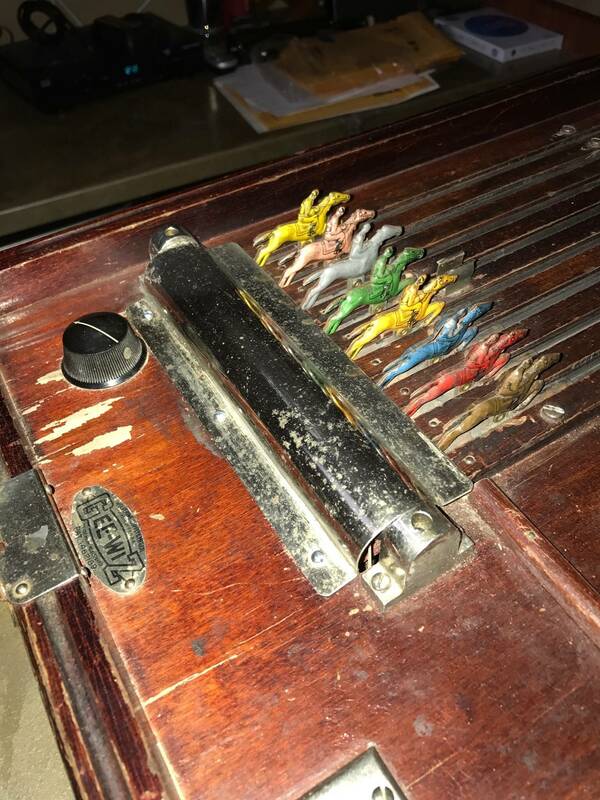 It is the deluxe model and so few were made that on the wolverine collectors forum there is just a tiny picture and it says if anyone has any info on this please let us know. What's a trade stimulator? 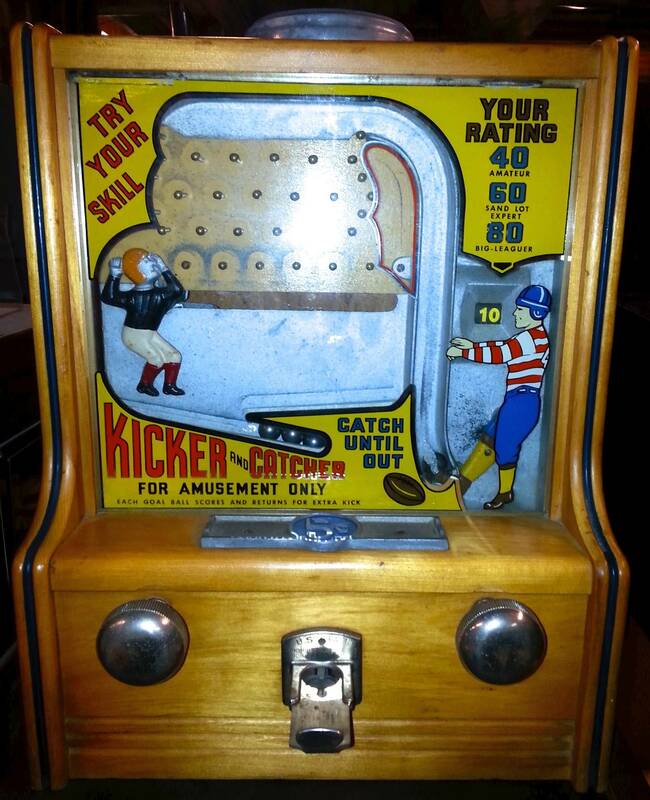 Is that another name for gambling machine? Pretty much from what I'm learning. 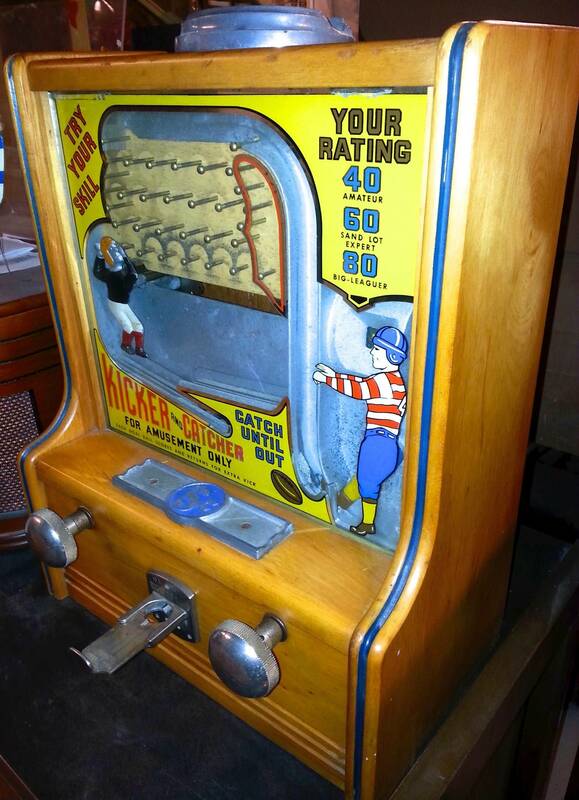 Trade stimulators gave you something (usually a gum ball)if they looked like a gambling machine. see the pic of the pierce Whirlwind I posted the other day. 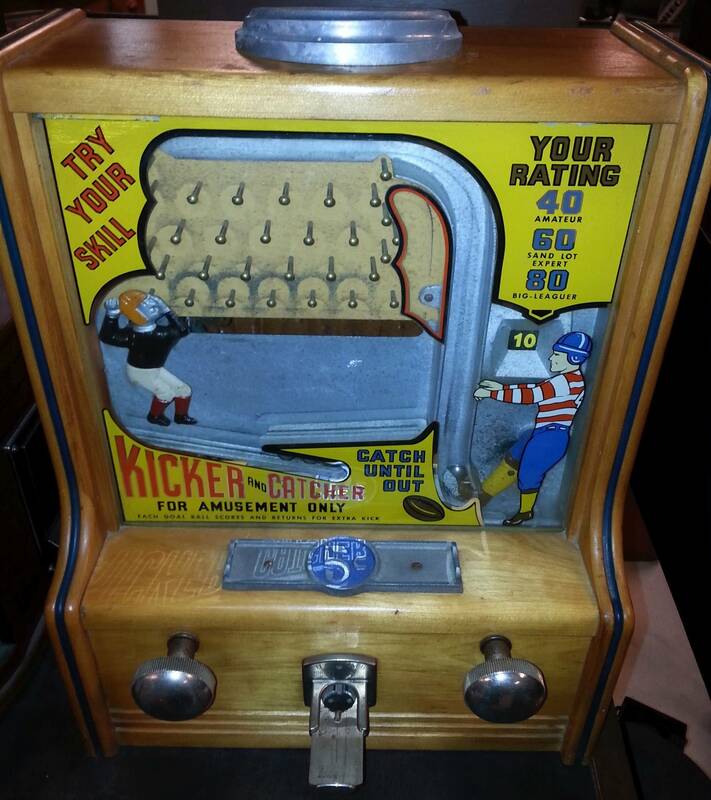 its basically a mini slot machine that doesn't automatically payout BUT you get a gumball every play. 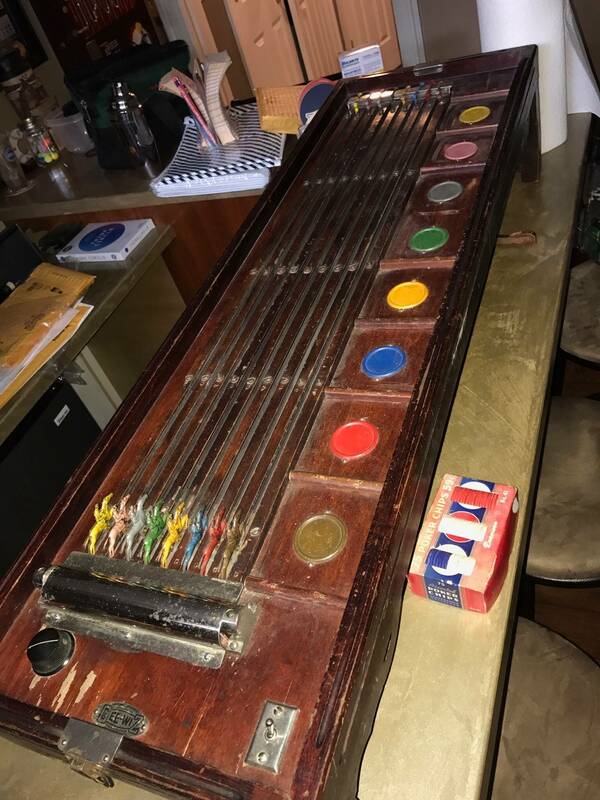 The store owner would pay out of the cash register That way they could say it was like a gum ball or vending machine. 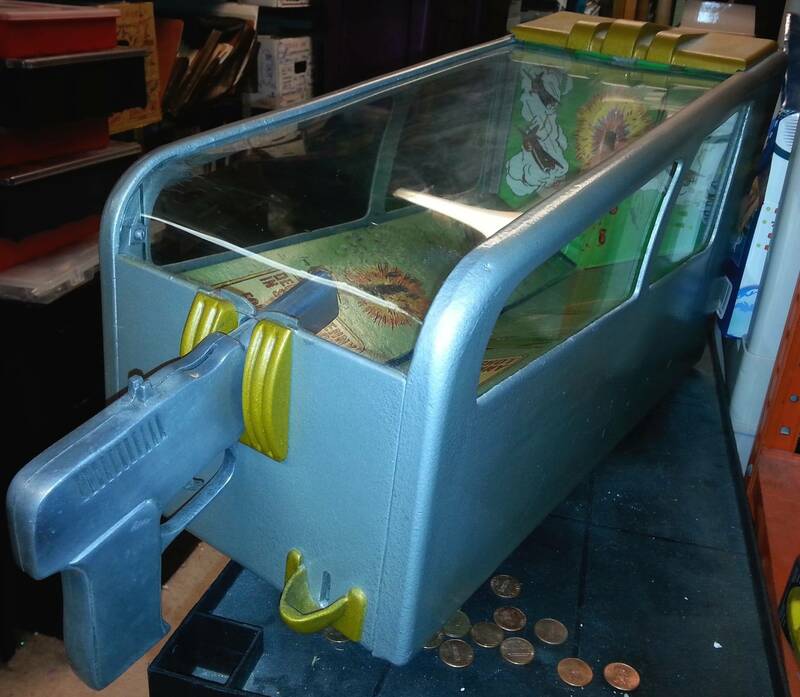 Other non gambling or Skill machines were basically designed to sit on the counter near the cash register and temp customers to spend coins received as change. Hdmike is it coin operated? No it isn't, that would be nice... but I still couldn't pass it up. It really is cool to play.